453 West 21st Street was built in the Italianate style in 1852-53 for the Reverend E.O. Smith. Unlike its neighbors, its grand doorway has been preserved. An imposing cornice slab, carried on stuccoed console brackets, over the arched doorway, still crowns the high stoop. The cast iron railings at the stoop and yard still remain. 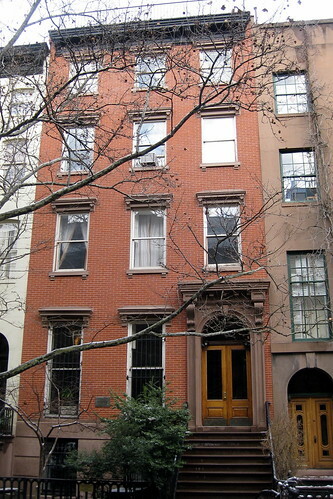 The Chelsea Historic District and Extension, roughly bound by 8th and 10th Avenues, and 20th and 23rd Streets, was designated a historic district by the New York City Landmarks Preservation Commission in 1970.